Wroclaw is a great city for culture buffs, self-professed history lovers and travellers who like to indulge in a beer by the water with locals. The food scene is relatively new however with a food festival like Europa na Widelcu now in its tenth year, there is definitely a lot more than dumplings and cabbage rolls in this town. But sometimes you really want Pierogi’s in Poland – I know I do and I thankfully found the BEST pierogi’s to put even the most discerning foodie to rest. Light, fluffy, cloud-like dumplings in a delicate bacon sauce – yes, these pierogi’s ( and everything else on the menu) are worth traveling for. A friend who happens to run a great tour company in Wroclaw, Viadrina Tours helped me get to the best pierogi’s beyond the city walls of Wroclaw. Along the way we had a decent helping of nature, history and culture: here is the perfect itinerary to follow or simply give my mate Maciej a buzz and he will get you there! Why Go? Fascinating history where the castle belonged to local Dukes from Swidnica, royal Polish Dynasty in XII century, then to Bohemian Kings before landing in the hands of the Hochberg family. The Hochberg Family have a long history of both romance, money and ultimately bankruptcy. It was also rumoured to be Hitler’s Head Quarters at one point. 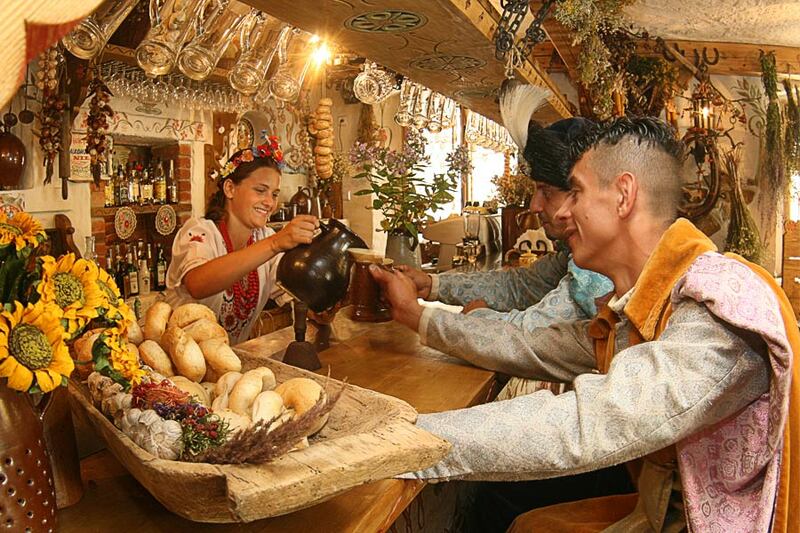 Karczma Zagloba – not only does it have an amazing chef leading the kitchen but it is te oldest restaurant in this small town. The Cuisine is Polish but something you would get in your Polish grandmother’s home… if you were lucky enough to have one. The restaurant is named after a famous character from a Polish National Writer, Henryk Sienkiwicz. Yes I harped on about a great and delicious, if not BEST pierogi’s I ever tasted, but would I be a good foodie if I did not share the recipe? Prepare a dumpling dough with a double amount of ingredients. still thoroughly with a mashed potato for a smooth mass without lumps. dice in butter or lard, add to the filling, mix. slotted spoon and place on plates. This sounds so tasty! Nice recipe! Seems a bit too hard to make it, for me!